While visiting family in San Diego, CA, I had the opportunity to see a little southern California history. 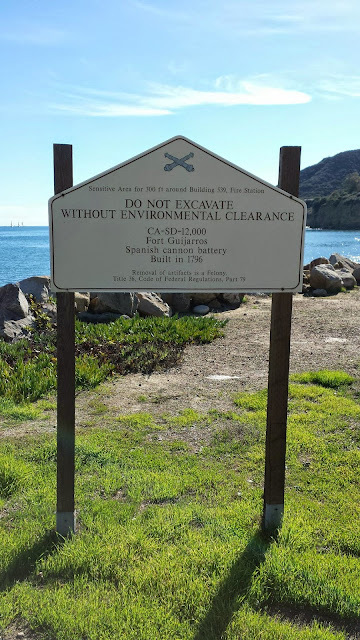 Markers dedicated to an early Spanish fort in California, Fort Guijarros, are currently located on Naval Base Point Loma. Naval Base Point Loma is arguably one of the most beautiful military duty stations in the nation. 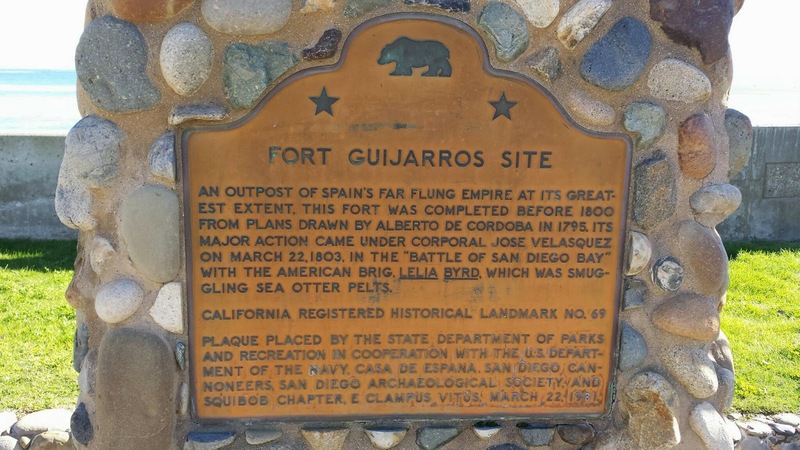 The land upon which Fort Guijarros once stood not only provides a great water front view, but it also saw a great deal of early European and American history in San Diego. The ruins of Fort Guijarros, San Diego's Old Spanish Fort, symbolize a shared legacy between modern Spain and the United States that everyone can enjoy. This legacy remains as a reminder of Spain's dominion over California during the eighteenth century. By that time the Spanish empire ranged from Mexico to the southern third of the current United States. 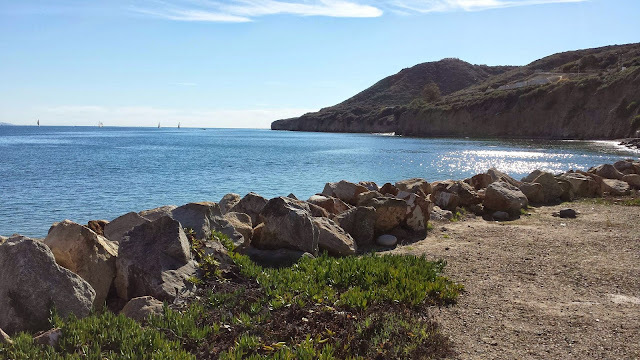 As Spanish explorers colonized California with a network of religious missions and military presidios, threats of war with England and Russia in the 1790s also spurred the Spanish crown to fund a system of coastal fortifications in California. Spain's successful system of defense included fortifications at rivers and harbors, regional forts that ringed fortified cities, as well as fortlets and cannon batteries. San Diego's defense scheme centered on its "fortified city," known as "The Royal Presidio." The outer defense was "Fort Guijarros," a cannon battery located on Ballast Point at the entrance to San Diego Bay. Archaeological excavations by the Fort Guijarros Museum Foundation reveal that the fort's massive walls were twenty feet thick and fronted by a sloping mound of cobbles. Historical records indicate that the fort boasted at least ten cannons mounted high to overlook the fort's sloping walls. 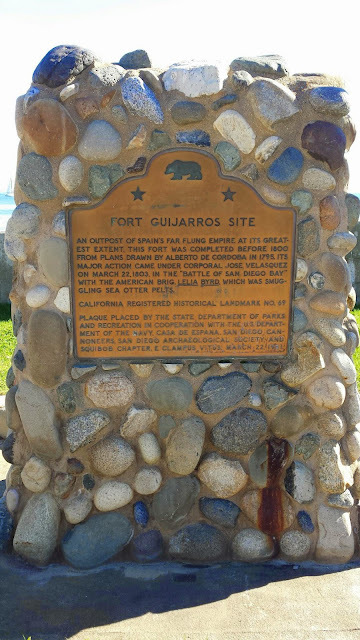 Fort Guijarros was designed by Alberto de Cordoba, a Spanish engineer who oversaw the fort's construction by forty-nine Native American laborers. Completed in November of 1796, the fort later became known as Fort Guijarros - "Guijarros" means small cobblestones, an apt term for the abundant ballast stones found on Ballast Point. History singles out the soldiers of Fort Guijarros for two dramatic battles fought in defense of Spain's newly acquired territory. On March 22, 1803 the "Battle of San Diego Bay" pitted the American brig Lelia Byrd against the Spanish soldiers of Fort Guijarros. This event is the only ship-to-shore battle on the Pacific Coast between Spain and a ship of the United States. Caught attempting to smuggle sea otter pelts out of San Diego Bay in violation of Spain's blockade against foreign trade, the Americans and Spaniards exchanged a spectacular cannon duel across the waves. With only minor damage, the crew of the Lelia Byrd escaped serious injury when favorable winds escorted them away from the line of fire. In 1828, six years after Spain surrendered control of California to Mexico, the American ship Franklin dueled a similar battle at Fort Guijarros with the newly installed Mexican army. Caught in the act of illegal trade, the captain of the Franklin sustained injuries from the fort's cannon fire, but no deaths were suffered in the exchange. Mariners bound for the South Pacific first began visiting San Diego in the 1820s. Brothers Alphaeus and Prince William Packard arrived in San Diego in 1857 and began shore whaling from Ballast Point in 1858. These Portuguese-Americans were joined by people of African, Irish, Asian, Spanish, Mexican, as well as English and New England American heritage. Before long, Ballast Point became a major whaling station served by camps in Baja California. Packard's sloop, "New Hope", shipped whale oil and supplies; the oil was sold in San Francisco. Chinese fisher folk also lived with the whalers on Ballast Point. Ah Low cooked for the Packards in 1870 and Juk and Ah Sing sold fish all around San Diego. In the 19th century, whale oil served as the primary lighting fuel in America; baleen "whale bone" served as the "spring steel" for tools and clothing. In San Diego, whaling developed into a major industry and the whaler's camps and a sight-seeing attraction for the local residents. At the height of whale oil production in 1873 however, the American government evicted the whalers from Ballast Point. Point Loma had been selected by the U.S. Congress to become a major artillery fort. The United States government has controlled Point Loma and Ballast Point since 1873. 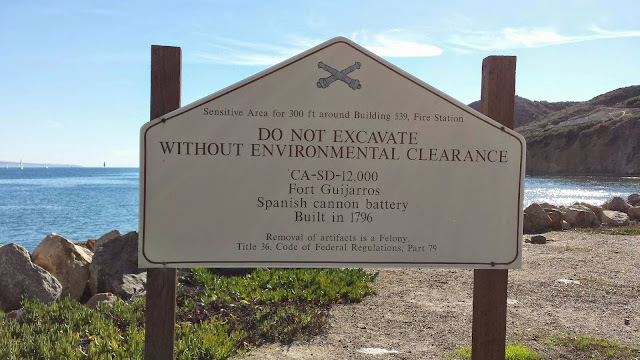 Following the eviction of the whaling companies from Ballast Point, the U.S. Government began to develop "Fort San Diego," a huge artillery bunker on Ballast Point. Shortly thereafter, Europe designed artillery shells that could penetrate brick walls. Fort San Diego closed in 1874 and the partially completed bunker was abandoned. In 1898, American soldiers returned to Ballast Point to build "Fort Rosecrans." During the Spanish American War in that year, the U.S. Army sewed mines in San Diego Harbor. 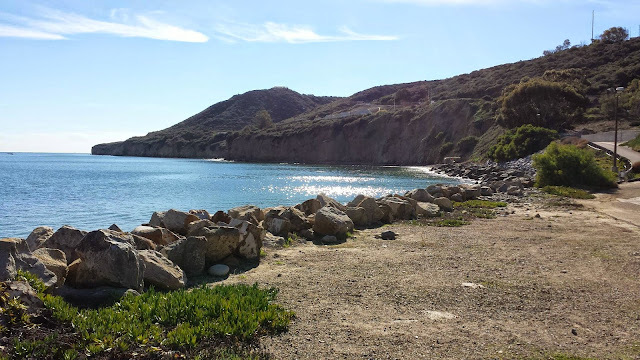 Between 1898 and 1918, the military constructed huge artillery batteries in the canyons off Point Loma. Underground tunnels connected l0-inch diameter rifled cannons and munition bunkers. During the First World War, the Coast Artillery Corps developed a complicated system of search lights, communication lines, and cross-fire artillery to defend San Diego Harbor. The Washington Naval Treaty of 1922 resulted in closure of Fort Rosecrans in 1923 and the soldiers transferred to Washington state. Fort Rosecrans became a tourist attraction through the Great Depression of the 1930s. By 1939, Congress began to rebuild America's defenses. When war broke out on December 7, 1941, the Point Loma radio station served as the only communication link with the western Pacific. A new U.S. Army used Fort Rosecrans to train soldiers for war in Europe and the Pacific. Fort Rosecrans was decommissioned after victory in Europe and the Pacific in 1945. The U.S. Navy built the Submarine Base on Ballast Point in 1962. The old Fort Rosecrans buildings are now administrative offices for the U.S. Navy. Since 1981, researchers from the Fort Guijarros Museum Foundation, through the generous support and permission of the United States Navy, have excavated what remains of the Old Spanish Fort. 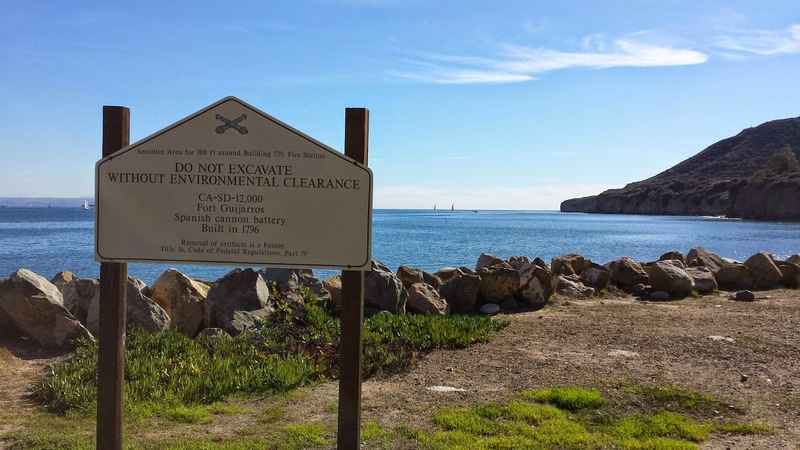 Located on what is now the United States Naval Submarine Base, San Diego, the fort has been the focus of archaeologists who have sifted through 150 years of history layered under a modern parking lot. These layers tell a fascinating story, revealing that the ruined fort was buried by debris from Yankee whaling companies, which used Ballast Point for their fishing industries in the nineteenth century.